I have never tried any skincare by L’Oreal. Make up, nail polish, sunscreen, haircare, you name it I have tried, but I never delved into their skincare range. Until now. I spotted the new Hydra Genius Aloe Water in my local drugstore and was very intrigued. Since I couldn’t really test it, I was happy to meet a sales lady who had some samples to try and I was suprised by how hydrating this felt. So the next time I found this on offer, I snatched one up to try. 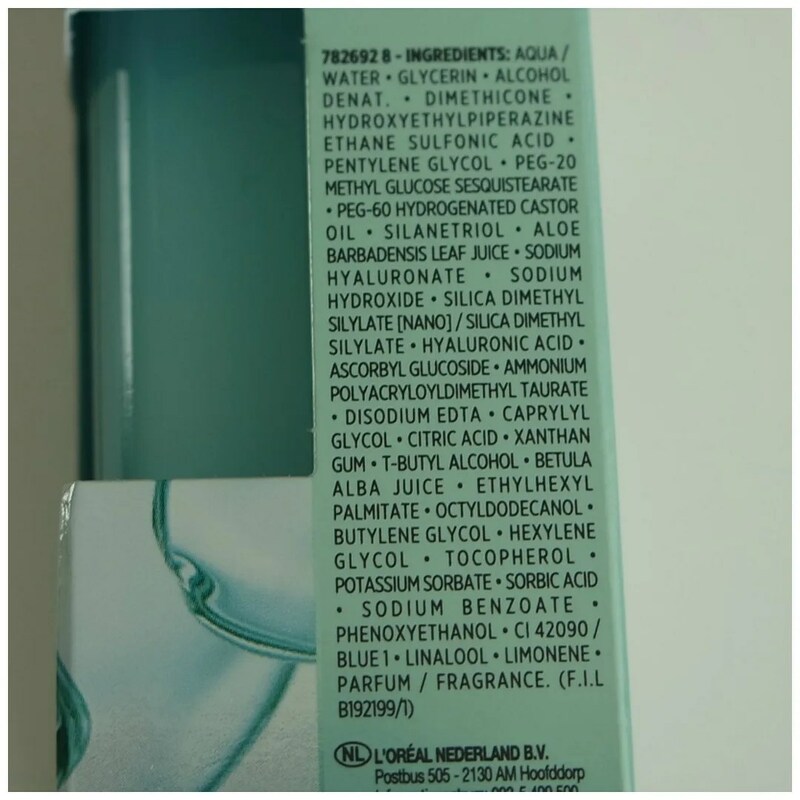 How am I getting on after a few weeks of using the L’Oreal Hydra Genius Aloe Water? The reason why I initially held back is because I think this is quite expensive. I found it cheaper online, but in stores this retails for €19.99. It does come in three varieties to cater to different skin needs, but one of them seems to be difficult to find. However, I bought mine in the normal to dry skin, which seems to suit my skin nicely. The box this comes in is nothing special. But I was surprised by the good quality of the packaging of the product itself. This comes housed in a glass bottle and it has a pump! The glass is clear so you can easy see how much product you still have left. It comes with 50 mls of product and is very easy to use. Traveling with this may be difficult as the glass may of course break. 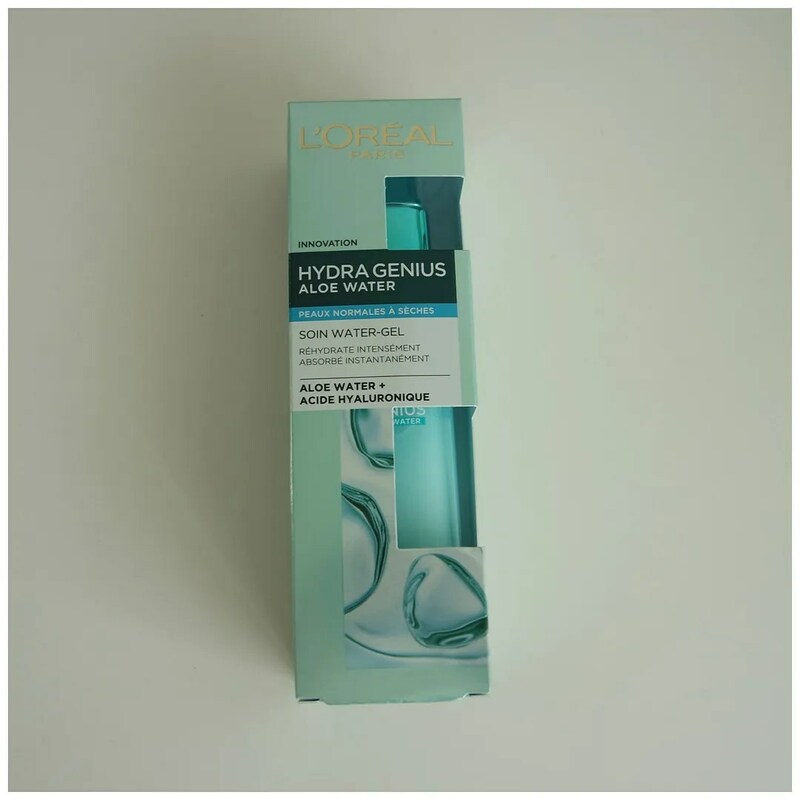 L’Oreal promises this product to be intensely hydrating due to aloe vera and hyaluronic acid. While both ingredients are definitely present, there are many other ingredients higher up on the list. Meaning that the active ingredients in this may be present in such small quantities that they won’t do much. That being said, this does feel super intensely hydrating on the skin. This moisturizer is just like a drink of water for the skin and I have been loving using this every night before bed. L’Oreal recommends using this as a serum, but by itself I find the consistency to be too thin. I generally use 2 – 3 pumps as a first step. Then I go in with primer, moisturizer and an eye cream. I find it works really well as a skin essence type product: other skincare products layer on top of it very nicely. It is absorbed super quickly meaning you can easily layer other skincare product on top of it. So far I am very pleased with what this does for my skin. 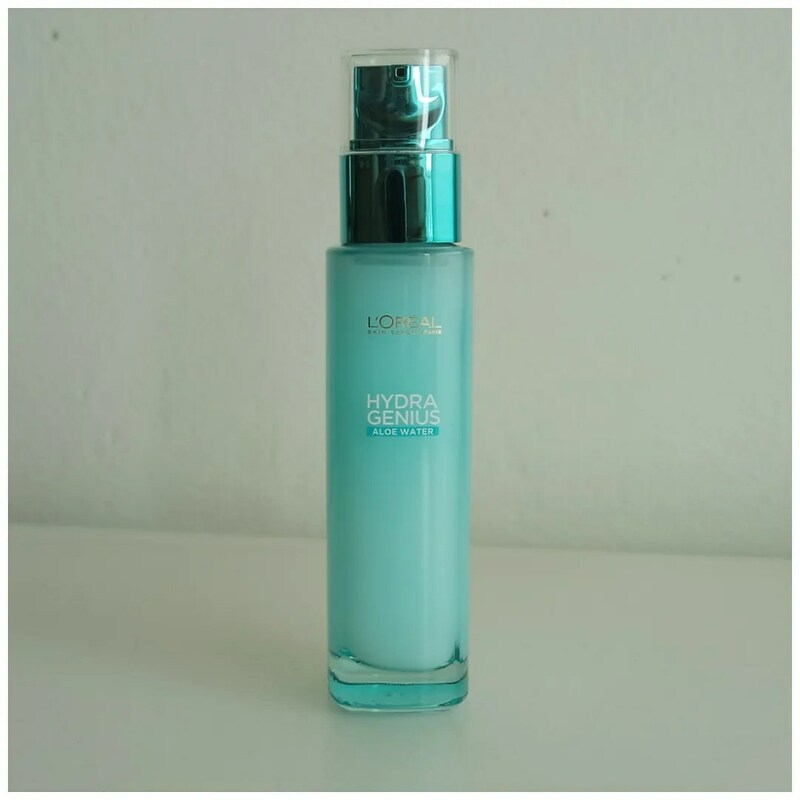 The L’Oreal Hydra Genius Aloe Water feels very refreshing and hydrating on my skin. It works well as a skin essence, but I do feel I need to layer other products on top to ensure my skin feels nice and smooth. I haven’t this making a huge difference in my skin as of yet, but I am noticing that some of the milia I always get near the end of summer are already becoming less visible. I am hoping that as I continue to use this my skin stays nicely hydrated, because with the colder weather my skin really needs it. What is your favorite skin essence? It’s really nice if you are looking for a good moisturizer. I tried this product some time ago, I loved the scent (it’s really good), I felt my skin very smooth but unfortunatly I woke up with breakouts…I gave it to my mother na she used it all! Oh no! That is such a shame. I have had that happen to me plenty of times as well. Always a bummer if skincare doesn’t work out.